Stamped "Barye" on long front side of base and "Barbedienne, Fondeur" on short side of base. 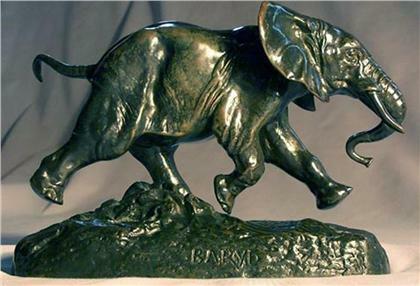 The running elephant supported on base by one leg only. 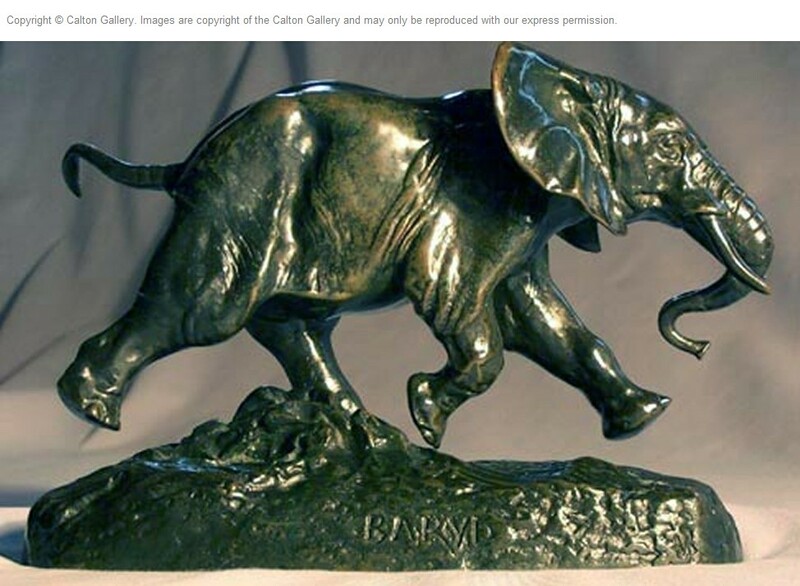 Barye was the earliest and most famous of the French animalier school, renowned …..